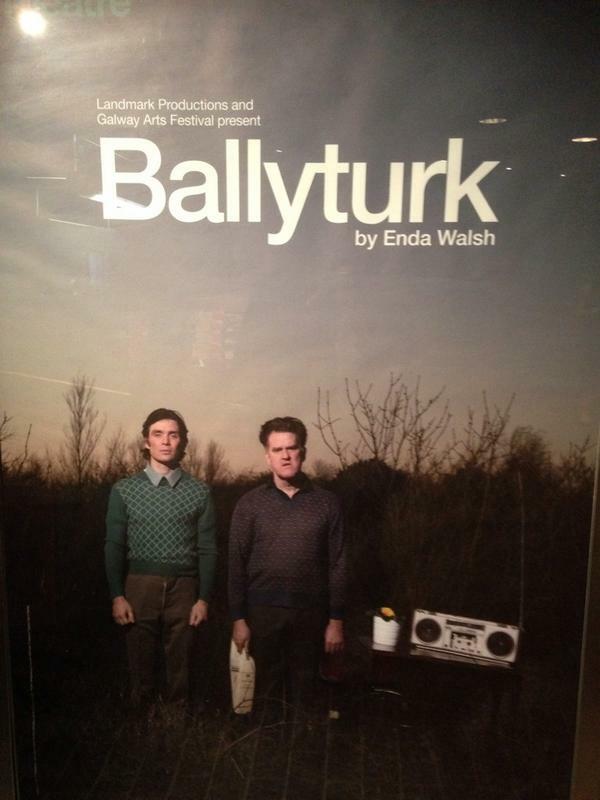 My reasons for going to see Ballyturk at The National Theatre are disgustingly shallow. When I saw that Enda Walsh’s new drama starred Peaky Blinders actor Cillian Murphy, I bought a ticket without hesitation; I have had unhealthy attraction to Murphy since I was about seventeen, and it was through this initial attraction/obsession that I also discovered Enda Walsh. Amongst many other things, Murphy had starred in a small, independent Irish film called Disco Pigs (2001), which was based on the play of the same name, written by Enda Walsh. I bought and watched the film when I was around eighteen, and I loved it; partly because Murphy was a ferocious, unbearably attractive screen presence, and partly because Enda Walsh’s story was so unusual, unsettling and powerful. I also bought and read the play, and have been enjoying both ever since. The idea of Walsh and Murphy collaborating again was too good to miss, so; this is why I went to see Ballyturk on the 8th of October. The play opened with Murphy in the spotlight, delivering his lines with an intimidating intensity. When the lights came up, next to him was Mikel Murfi in nothing but a pair of greying Y-fronts. What followed was a confusing, but entertaining 90 minutes of impersonations, perfectly executed physical and verbal comedy, and some highly uncomfortable (but necessary) silences. Walsh’s script was beautiful, but also baffling. I am no theatre expert, but as a Literature student and an ex-drama student, I feel comfortable with most types of theatre. However, at times, Walsh’s words and plot were too abstract for my understanding (which I’m a bit ashamed to admit); and I left the play with more questions than answers. That may have been Walsh’s intention, but I feel a little unsatisfied by the ending, despite Murphy and Mikel’s powerhouse performances. However, I was chasing Murphy’s celebrity status when I bought the ticket; and as a result, have not paid enough attention to Ballyturk’s contexts; which is probably a criminal offence in the eyes of The National Theatre. Ultimately, I’ve fulfilled a personal life goal (seeing Murphy in his underpants) and I would urge anyone with a taste for unusual, darkly comic theatre, to go and see Ballyturk at The National Theatre this year.